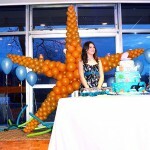 Bat Mitzvah, Underwater theme, one of our themes. One of the problems to be solved, was low ceiling. 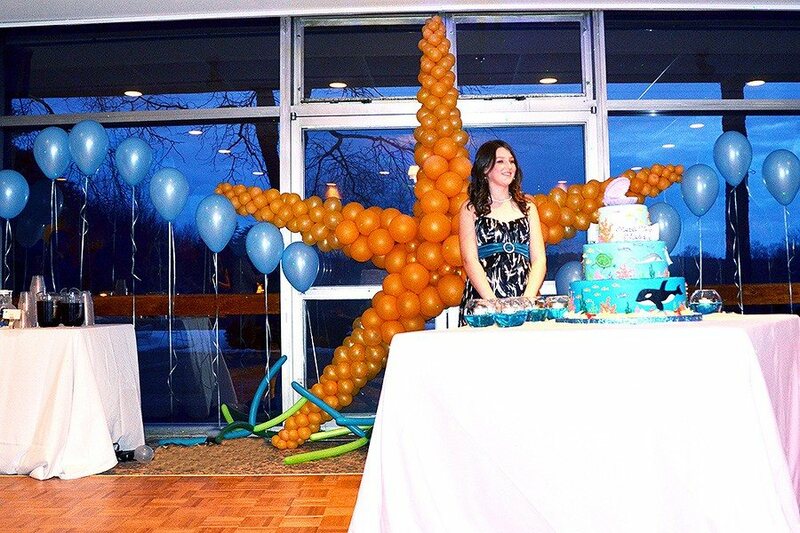 The main point of attraction was the star fish balloon sculpture. Again, what if the ceiling would be 20' tall... But, even as is, we made the kids very happy. 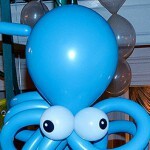 The happiest moment, though, as usual, was the last moment of the party - popping them all!